I have had the privilege of being cared for my Ann Johnson at the Massage Hut located at Bonaire Windsurf Place. This rustic casual seaside spa is the perfect setting for a healing to relaxing massage. Ann has great expertise and in her work. Whether you require a deep tissue massage treatment or a relaxation massage, Ann will knead away your knots and aches. Package discounts and gift certificates available. Book your massage today at 780-0393 or 717-2288 or email amj88@comcast.net. This entry was posted on May 15, 2011 at 9:12 pm and is filed under Activities. You can follow any responses to this entry through the RSS 2.0 feed. You can leave a response, or trackback from your own site. 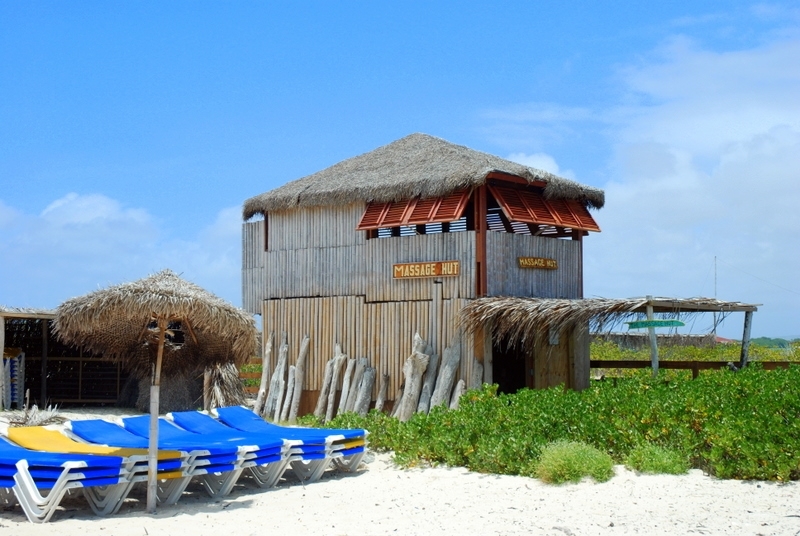 Ann does a fabulous massage and the hut is very private but still open to the sounds of the water and the nice cool breeze! I also was told that there are very few licensed massage therapists in Bonaire, and Ann is one of them! She keeps the windsurfers in tip top shape! I am planning Wellness Vacations. Perhaps we can collaborate?